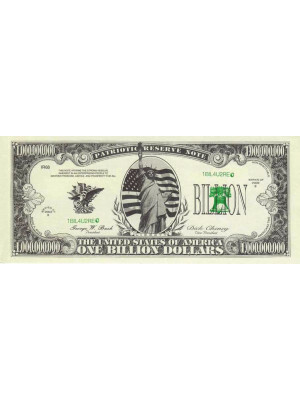 Original million-dollar banknote "Michael Jackson"
Million Dollars Banknote "Michael Jackson"
Special Million Dollar Bill featuring Michael Jackson! Own a part of history! Same size as actual currency. Michael Joseph Jackson, aka the King of Pop, was an American singer, dancer, and entertainer. His unique contributions to music, dance, and fashion, along with a highly publicized personal life, made him a prominent global figure in popular culture for over four decades and he is the first African American artist to amass a strong crossover following on MTV. His distinctive musical sound, vocal style, and choreography, is credited with stretching across and breaking down cultural, racial, economic, generational, and global barriers that has inspired countless artists. 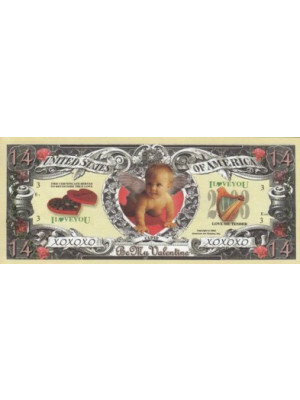 He devoted almost all his life to music and this banknote serves to commemorate extremely talented person. 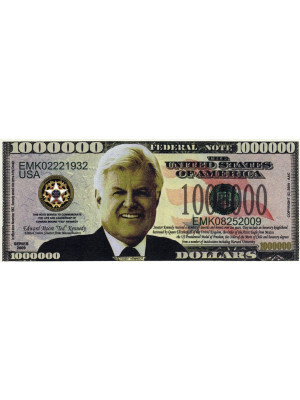 Million dollar banknote "Teddy Kennedy"
Valentines Day dollar banknote "HAPPY VALENTINE'S DAY"